Article 13-Children have the right to get to and share information, as long as the information is not damaging to them or to others. We organised 'Wear Red for Wales and Velindre Day!' We raised £150! St Joseph’s RC Primary School Council 2017/18! Each class has voted and the following children have been elected as our school council for 2017/2018! Easter Raffle and Bonnet Parade! School Council The School Council are starting up a “Lending Library”, where children can borrow a book from the library box for a week and then bring it back to swap for another next week. All the books now have orange stickers on to indicate that they are lending library books only. ICT Buddies ICT Buddies is coming back !!!!! This is a scheme where the ICT Buddies help the younger children of the school with programs etc on the computer, ipads and laptops. This term we will be working on Mathletics! All school council members are working extremely hard to ensure that your views are regarded actioned as best we can. Please let your school council member know if there is anything we can do to make your life at school more exciting or better. We have art club on Thursday. We have lending library on Tuesday. The School Council have decided to make calendars the year 2017. They will be designing and making these over the next few weeks. The cost of these calendars are £2. They will be on sale during December. If you wish to guarantee you have a calendar then pre-order your calendar by giving £2 to Mrs Davies as soon as possible. 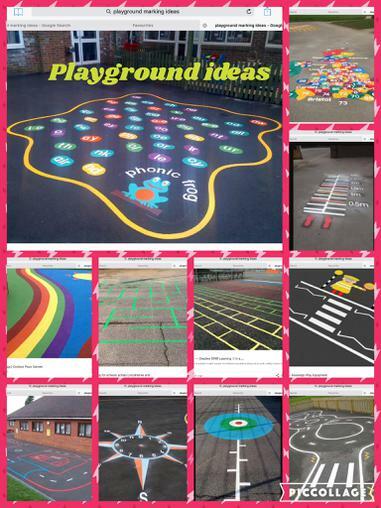 The money raised will be used to buy wet playtime games for the classroom and then any money left over will be used to buy outdoor bibs for team games at lunchtime. Support this cause - it is for you !!!!!!!! We have held our elections and we have representatives for all the school council classes. We have extra children from Year 5 and 6 to help us with developing out targets. This year we want to work together to help each other develop great skills in different areas of learning. We already have our IT Buddies group set up - it will continue every Friday at 12-45 in Year 2. We are looking for some junior children who can support and help children in Year 2 develop their ICT skills. The children in Year 2 know what they want to learn and when you are partnered with them you can help them develop these skills. Some want to learn to become better at using word, powerpoint and using the apps on the ipads. Some want to learn how to develop their maths and english skills by using ICT programmes to enhance their learning. If you want to support us - let Bonnie and Owyn know - they are the children who are supporting and organising this project. We are running an ICT Day for the younger children to learn skills from the older children. Please lert your councillor know what skills you have to offer and which skills you would like to develop. We will see if we can match you to an ICT buddy. 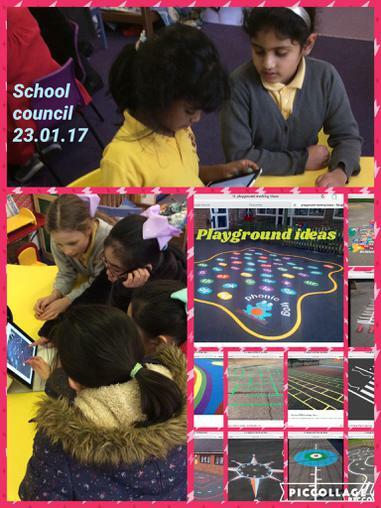 The School Council is an ideal opportunity for pupils to get more involved in the way the school is run. The School Council benefits the whole school, pupils and teachers, because it provides opportunities for pupils to communicate their feelings as well as influence decisions that are made. We have an active School Council with a boys and girls representing their fellow pupils from each class from Year 1 to Year 6. Each councillor is elected by their classmates at the beginning of the school year after a short presentation explaining why they should be elected. Members of the Council take part in discussions and votes and also feed back any relevant information to their class. At times they are requested to ask their class for ideas or take class votes relating to discussions by the Council. Members meet regularly with teacher representatives and Deputy. OUR LENDING LIBRARY HAS BEEN A GREAT SUCCESS SO FAR. WE HAVE HAD LOTS OF BOOKS DONATED AND WE HAVE BOUGHT LOTS OF BOOKS FROM CHARITY SHOPS AND THE INTERNET. THERE ARE LOTS OF CHILDREN ENJOYING THE BOOKS AND THE SERVICE OF THE LENDING LIBRARY. PLEASE REMEMBER TO BRING YOUR BOOKS BACK TO SCHOOL SO THAT WE CAN SHARE THE BOOKS WITH EVERYONE. THE LENDING LIBRARY WILL BE LAUNCHED ON MARCH 10TH - THE DAY WE CELEBRATE WORLD BOOK DAY. LET YOUR REPRESENTATIVE KNOW WHAT BOOKS YOU LIKE TO READ. This week we raised over £90 towards our Lending Library Project. Great support from all the school . Superb organisation by the School Council members. Please keep supporting us by donating any unwanted books to the Library. We hope to get it up and running the first week after half term. If you want to help with the Library, please let the School Council know. The School Council meet every Tuesday at 1.00 - 1:30. At our meetings we talk about organising events to help make our school a better place. This term we are looking to develop our book corners and free choice reading. We may also be looking to develop a book swap lunchtime meeting - if we have enough support. Please let your school council member know what books you like to read and we will visit the charity shop to go and get them. If you are interested in helping to run the book swap lunchtime club, please let your school council member know. We are currently working on making our playtimes more exciting and we are updating our playtime rotas for different equipment and games as well as buying other equipment. We are also developing the role of the Digital Leaders in the school. If you would like to learn as particular skill using the laptop or ipad, please see Mrs Davies and she will arrange for a Digital Leader to support and help you.